Travel – overall – when do you need to leave and return? Knowing this information up front and having it at hand will make booking your business trip easier, quicker, and with less overall hassle. Also, be sure to confirm the hotel amenities. If you will be working, connecting with family members back home, or even just streaming Netflix then you will probably want to stay at a hotel with free Wi-Fi. 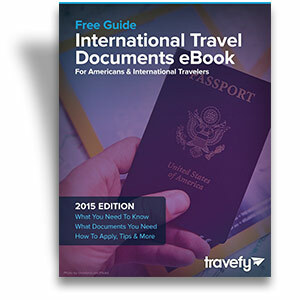 One of the most important – yet often overlooked – parts of planning a business trip is the management of travel documents, especially passports. 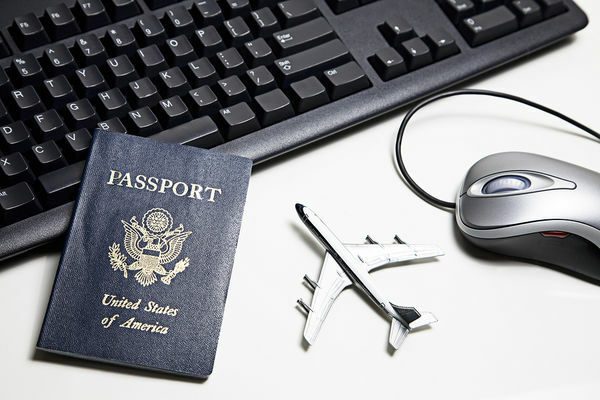 When flying, you need to have your passport ready when booking and boarding flights. Make sure your passport is up to date and has enough validity period left (generally an expiration date superior to 6 months). Book your travel plans (hotels, cars, flights, meetings etc.) as early as you possibly can to avoid any issues. While the debate is ongoing about the best time to book an airfare, flights are generally cheaper the earlier you book them. Who doesn’t want to save a little bit of money?! Make an itinerary for the entire trip – know where you’re going to be, and at what times you need to be there. Schedule right down to leisure time so you can avoid the stress of planning during your trip. Not having to worry about trip details then will enable you to enjoy yourself and engage in the business you’re there to conduct. Make sure to leave a copy with your assistant, business partner, or manager, so that they know where and when to get in contact with you. I’ve heard of some people making multiple paper copies of itineraries and travel documents. That’s a great idea! However, with modern technology, we can go one step further: upload your documents onto a flash drive (if that’s your thing!) or even onto a cloud drive such as Google Drive or Microsoft One Drive. That way, you can access your documents on the move on your mobile devices, in a hotel lobby, or even in an airport lounge! Now that you’ve planned your trip, reviewed your passport, created your itinerary, and backed up your documents, it’s time to pack! This task may seem simple, but since you’ll be away from home, you want to ensure that you have the proper attire for the type of business you’ll be conducting. Also, the weather could be different where you’re headed, so plan accordingly. Don’t hesitate to check out The Weather Network to see what kind of weather you’ll be dealing with when you arrive! 7. To Carry-On or Not to Carry-On? Most airlines have baggage requirements for carry-on luggage. Keep them in mind and pack accordingly. Sometimes, Carry-ons can’t contain enough clothes for a week-long trip. Would it be easier for you to avoid baggage pick-up? Then check out your airline’s website for more info on the sizes and weights allowed. Some airlines will even let you put your carry-on luggage on a cart before entering the plane and pick it up on your way back off. This is a great plan if you don’t want the clutter on the plane! Keeping up to date with emails, calls, and contacts while on the road. Most people forget that travelling can automatically activate costly roaming costs. Make sure to add on a voice, texting, and data package for your trip to avoid a high bill upon your return! Or turn it off altogether and stick to Wi-Fi. Now, everything should be set and organized, it’s time to check in! This usually happens about 25 hours before flight time. Be sure to note whether the airline allows you to choose your seat online when checking in (if that’s important to you), and double-check the arrival, check-in, and boarding times. There is nothing like starting your business trip with a missed flight, train, or ride. If you’ve followed steps 1 – 9 then your business trip should be a breeze! You’ll be organized, prepared, and ready to handle anything that comes your way. Just remember that things don’t always go as planned. Don’t panic if something doesn’t go exactly as planned. You’ve done enough organizing to be confident in your trip and hopefully the business meetings and/or conferences go just as well as you’d hoped! Good luck. Jennifer Dodds is a content writer for ExchangeLeads Inc., a global B2B software that allows companies of all sizes to exchange their B2B marketing leads for new pinpoint accurate leads. To learn more about Exchange Leads, or book a free strategy session with their founder, please click here.